BOISE – The Idaho Transportation Board agreed to fund the remainder of the cost to finish to design the Northgate (Siphon Road) Interchange in southeast Idaho. The board unanimously passed a resolution to fund the engineering and design costs of approximately $1.5 million for the project. The project would connect parts of north Pocatello and Chubbuck to Interstate 15 near Siphon Road. 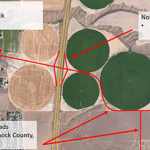 ITD is currently working with the cities of Chubbuck and Pocatello, Bannock County, the Pocatello Development Authority and Millennial Development to fund construction of this interchange. By authorizing the completion of the engineering and design, the project would be ready for construction when a resolution for funding the project along with the right of way acquisition are complete. Last June, the Board passed a resolution authorizing the construction of an $8.4 million interchange at the location. After an engineering study, it was determined it would cost a total of $12.5 million to build an interchange sufficient to meet existing and future needs in the area. ITD is working with local agencies to determine the best way to fund the project increase. RIGBY – The Idaho Transportation Department (ITD) donated $10,000 to the Utah and Idaho Chapter of the Cystic Fibrosis Foundation on Tuesday (Oct. 10). The gift is ITD’s prize money from winning the America’s Transportation “People’s Choice” Award for the Thornton Interchange project. The opening of the Thornton Interchange in eastern Idaho south of Rexburg last November culminated 20 years of U.S. 20 safety improvements. Thornton was the last of seven new interchanges built along a 34-mile stretch of the highway between Idaho Falls and Sugar City. The project and the overall U.S. 20 safety improvements have reduced serious-injury crashes by 75% and cut fatalities to less than one per year in that stretch of highway. Cystic Fibrosis hits close to home for the eastern Idaho office of ITD known as District 6. Foreman Scott Robinson’s daughter, Lina, has suffered with it since birth. The disease is a progressive, genetic malady that causes persistent lung infections and eventually limits one’s ability to breathe. 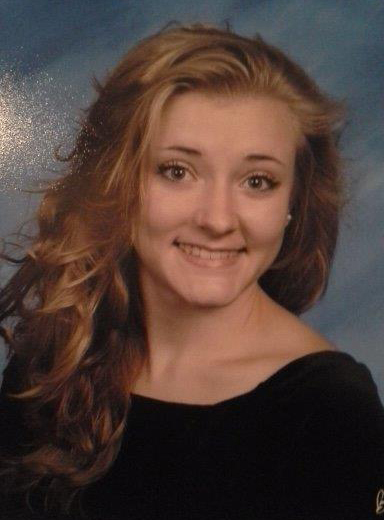 Lina, 20, braves three different breathing treatments every day – each of which takes an hour. She takes special enzymes with every meal to help with digestion, consumes an array of vitamins and other supplements, and eats high-calorie meals and snacks. She regularly visits doctors, nurses, nutritionists, social workers, x-ray lab technicians, and pharmacists. Prescriptions cost $15,000 per month. So far there is no cure for the disease. The Cystic Fibrosis Foundation supports a wide range of research that focuses on the hunt for a cure and improving the quality of life for patients. The disease afflicts roughly 70,000 people worldwide. One in 30 people are carriers of the recessive Cystic Fibrosis gene. If a man is a carrier and marries a woman who is a carrier, the couple has a 25% chance of having a child with Cystic Fibrosis. “Last year, about 89 cents of each dollar of total foundation expenses was spent on research and medical, community and education programs,” said Ashley Barton, senior development director of the Utah and Idaho Chapter in Salt Lake City. The chapter is the nearest Cystic Fibrosis Foundation office in the region. “We take pride in being an effective organization and are careful stewards of every dollar raised in support of our mission to further research and improve treatment,” Barton said. Because Cystic Fibrosis is rare, the foundation doesn’t receive any federal funding, said chapter Executive Director Laura Hadley. “Efforts of the chapter directly affect local Idaho communities and the patients cared for at the Cystic Fibrosis Care Center located at St. Luke’s Medical Center in Boise,” Hadley said. The care center at St. Luke’s is the only Cystic Fibrosis clinic in Idaho. 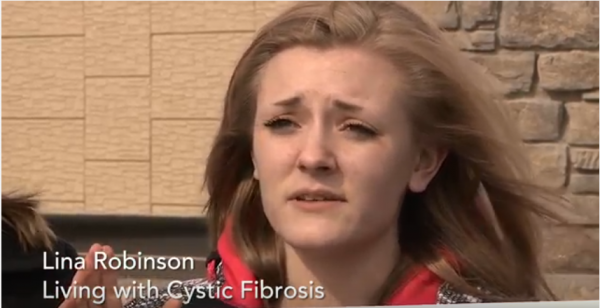 Lina typically visits the Cystic Fibrosis clinic for adults at the University of Utah Hospital. In her childhood, she visited the pediatric Cystic Fibrosis clinic at Primary Children’s Hospital in Salt Lake City. The Utah and Idaho Chapter of the Cystic Fibrosis Foundation works with the Cystic Fibrosis Care Center at St. Luke’s to ensure standardized, quality care. The Idaho Transportation Department Thornton Interchange project won the America’s Transportation “People’s Choice” vote today, along with a President’s Award from a national transportation industry group. 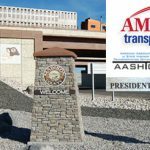 The America’s Transportation Awards (ATA) and American Association of State Highway and Transportation Officials (AASHTO) President’s Awards winners were announced today (Wednesday, Sept. 27) in Phoenix, Arizona. The opening of the new Thornton Interchange in eastern Idaho south of Rexburg last November culminated 16 years of U.S. 20 safety improvements. Thornton was the last of seven new interchanges built along a 34-mile stretch of the highway between Idaho Falls and Sugar City. Watch the video of the Thornton project. Despite traffic volumes doubling during that time, improvements reduced serious-injury crashes by 75% and cut fatalities to less than one per year. This marks the fourth Idaho project to advance to the national People’s Choice stage of America’s Transportation Awards since 2013. None of the four has finished lower than third in the public voting, furthering ITD’s reputation as a national leader. It is also the 11th AASHTO President’s Award for ITD since Director Brian Ness arrived in 2010. ATA awards are a joint effort of AASHTO, AAA and the U.S. Chamber of Commerce. Completion of the Thornton Interchange removes dangerous at-grade intersections and makes the busy route a continuous four-lane divided highway from Idaho Falls to Sugar City. Several innovations during the project saved ITD almost $450,000. “Providing the contractor with a 3-D model for the Thornton Interchange and requiring the contractor to use automated grade control during construction shortened the required construction time and reduced the impact to traffic through the busiest part of the summer,” said ITD eastern Idaho District Engineering Manager Wade Allen. “ITD will partner with the Idaho/Utah Chapter of the Cystic Fibrosis Foundation by donating the prize money to them,” ITD eastern Idaho District Engineer Jason Minzghor said. Cystic Fibrosis is a progressive, genetic disease that causes persistent lung infections and eventually limits one’s ability to breathe. 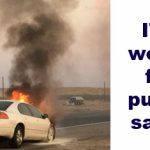 Like cellphones, or most of us after a few late nights in a row, fire extinguishers need to be recharged periodically to be at their full potential. 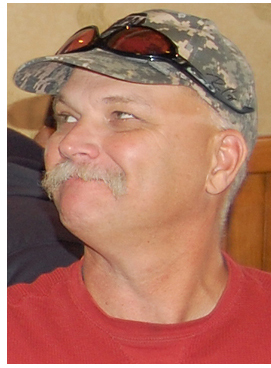 That was never more evident than the morning of August 7, as ITD Salmon Maintenance Foreman Jeff Eagle raced to an overturned vehicle on US-93 and a young girl screaming for help inside. He was her only hope at the moment, but even as he ran, he had to wonder if his fire extinguisher would even work. On that Tuesday morning, Jeff started the day thinking about a sign installation. On his way back to Salmon, however, he glanced in his rear view mirror and witnessed a car over-correcting as it went off the road a few hundred feet behind him. The car came back across the roadway, but luckily there was no oncoming traffic. The car rolled. Eagle stopped and turned around to help. As the first one on the scene, he called StateComm and asked for an ambulance and sheriff to assist. He then realized the engine was still running. With his adrenaline kicked in, the second attempt to turn the engine off was successful. “I was able to turn the key just enough to shut it off,” Eagle explained. District 6 Safety Compliance Officer Ron Butler explained that fire extinguishers are checked annually and tested as needed. This year, we found six trucks, three loaders, and several pickups or cars with fire extinguishers that needed to be recharged. They had not been used, but had leaked off anyway. “We try to get to all vehicles and buildings, but often miss a few because they are out on job sites, so check your extinguishers and if they don’t have a 2017 tag on them, change them out so you know you have a good working unit,” he added. “It only takes a minute. 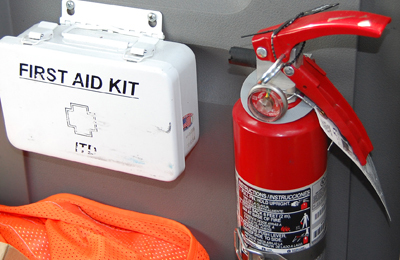 It would not hurt to have a fire extinguisher in our personal vehicles also,” he said. Note: Eagle said the girl didn’t have to be Life Flighted from the scene, thank goodness! ITD Port of Entry inspectors from the East and West Boise facilities collaborated to put out a car fire at the port on Aug. 2, with help from a couple of truck drivers. 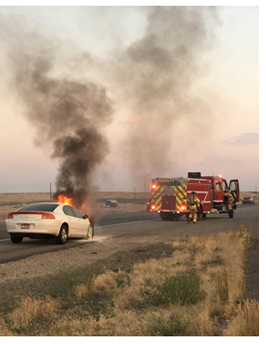 Inspector Kyle Perkins spotted a car on fire from the shoulder of Interstate 84 just past the East Boise Port of Entry, and alerted Port of Entry inspectors on the westbound side. Devin Dascenzo, April Jordan, and Jeff Butler. Inspector Scott Conrad was already in route to the car fire from the east port. Dascenzo and Butler grabbed a fire extinguisher and ran up the westbound ramp to the car fire, while April closed down the westbound port. By the time Devin and Jeff arrived, Conrad had already exhausted a pair of fire extinguishers from the port car. Two truck drivers stopped and added their own fire extinguishers to help tame the blaze. Jeff and Devin sat up cones to keep interstate traffic away from the shoulder without closing down a lane of traffic, and then helped the driver gather as many of his personal items from the car as possible. Once fire responders left the scene, port personnel made sure a tow truck was in route. 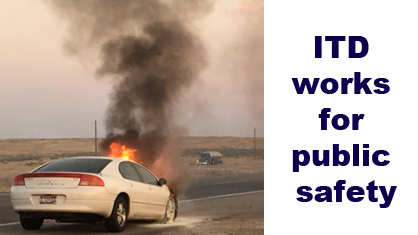 The quick reaction helped prevent injury to the driver, stopped a potential wildfire and kept traffic safely moving. An observant employee’s decision to park a truck in mid-June kept north Idaho drivers safe. Chance Ah Yee, an ITD Port of Entry Inspector at the Huetter POE, noticed that a driver was slow in his response to questions. The driver was having real difficulty. Chance became concerned . The driver said that he had been sick for the past week and was feeling fatigued. To protect the traveling public and the driver, Chance ordered the driver to park his rig. A month later the driver contacted the Huetter Port of Entry to thank Chance. The driver had suffered a stroke just one day after Ah Yee ordered the truck parked. 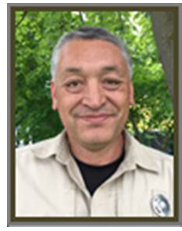 “Chance did a great job of sensing something was wrong and using his discretion to prevent a potential accident,” said ITD Compliance Manager Reymundo Rodriguez. The Idaho Transportation Department project to rebuild the Thornton Interchange is a national finalist in the “People’s Choice” category of the America’s Transportation Awards (ATA). Public voting is open and continuing through Sept. 21 online at www.AmericasTransportationAwards.org. The project previously won ATA regional honors in late June. Idaho’s Thornton project was selected by the judges to move on to The People’s Choice award (and/or Grand Prize) and a shot at $10,000 in prize money. The prize money will be donated to a charity or scholarship program chosen by the winning state department of transportation. The winner will be announced Sept. 27 in Phoenix. The awards are a joint effort of AASHTO (the American Association of State Highway and Transportation Officials), AAA and the U.S. Chamber of Commerce. “This shows that the Idaho Transportation Department is being recognized as one of the best transportation departments in the country, and ultimately this excellence benefits all of Idaho’s drivers,” said ITD Eastern Idaho District Engineer Jason Minzghor. The opening of the new Thornton Interchange in eastern Idaho south of Rexburg marked the culmination of more than a decade of U.S. 20 safety improvements. Thornton was the last of seven new interchanges built in a 34-mile stretch of U.S. 20 between Idaho Falls and Sugar City to improve access management and traffic flow for greater highway safety and mobility. Watch the video of the Thornton project below. Despite traffic volumes more than doubling, these improvements drastically decreased serious-injury crashes and fatalities. In addition, several money-saving innovations and technological advances saved at least $450,000. “Providing the contractor with a 3-D model for the Thornton Interchange and requiring them to use automated grade control during construction shortened the required construction time and reduced the impact to traffic through the busiest part of the summer,” said ITD District 6 Engineering Manager Wade Allen. 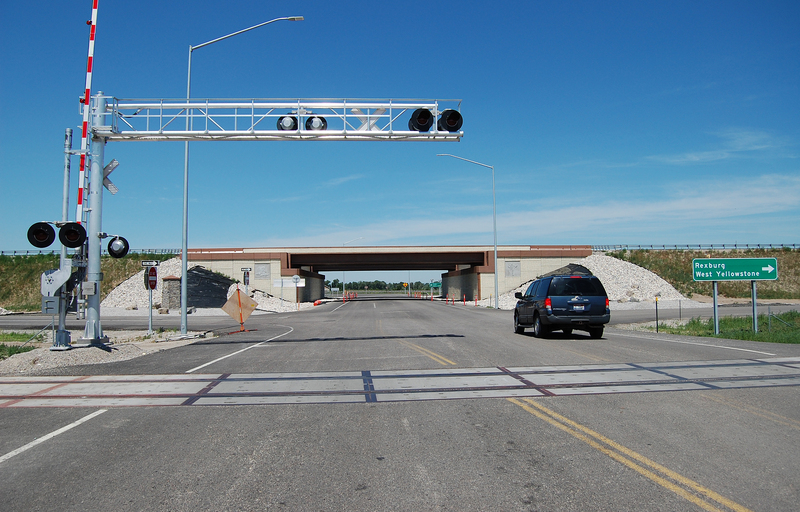 This marks the fourth Idaho project to advance to the national People’s Choice stage of the America’s Transportation Awards since 2013. RIGBY – Work zones will be necessary for routine roadbed sampling of several state highways in eastern Idaho on weekdays between 7 a.m. and 5 p.m. starting Monday (Aug. 7). Beginning in the Idaho Falls area and then moving to other parts of the region, a contractor from Boise will bore holes in the roadway as close as every mile apart to determine the depth and quality of asphalt. The project is scheduled for completion Aug. 16. Technicians will take samples of the pavement and then patch the holes left behind. Each stop takes approximately 10 minutes. 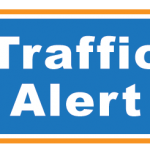 Travel will be reduced to one lane in each direction on four-lane highways and to one lane on two-lane routes, with signs or flaggers directing traffic through the work zones. 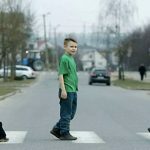 Motorists should expect brief delays. The speed limit may be reduced along some stretches. The project is part of certain road studies occasionally conducted by ITD to analyze pavement. Drivers should watch for maintenance workers and equipment, and obey all traffic signs. RIGBY – Nearly 100 people attended the July 27 alternative-development workshop in Island Park for the Targhee Pass Environmental Assessment (EA) being conducted by the Idaho Transportation Department (ITD). Targhee Pass is a four-mile portion of the U.S. 20 corridor. In addition to serving Yellowstone National Park, Targhee Pass serves many popular recreational and tourist destinations. 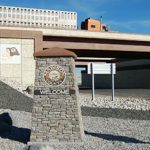 The highway functions as the regions Main Street, providing primary access to year-round residences, vacation homes, hunting and fishing lodges, state park and national forest areas, and a variety of community commercial establishments. At the July 27 meeting, the public reviewed information on the EA process, timeline, and the EA updated purpose and need statements. Several citizens reviewed materials and screening criteria, and then drew or commented on their ideas for potential alternatives on blank maps of the study area. Those unable to attend Thursday’s meeting can access displays, information and resources from the event at http://islandparkus20.com/helpful-resources/public-meeting-opportunities-materials/. Please send comments/suggestions to the study team by Aug. 10. Input will help ITD officials develop alternatives and then schedule another public meeting later this summer (before Labor Day). There will be an opportunity to comment on proposed alternatives at the next public meeting, prior to these alternatives being carried forward for analysis in the EA. The Federal Highway Administration (FHWA) is the lead agency on this study, responsible to sign the final study document. The study is being completed in accordance with the National Environmental Policy Act. For more information on the EA, please contact Andrea Gumm at 208-220-5937. BOISE – Two Idaho Transportation Department (ITD) efforts — a massive clean up of a landslide in north-central Idaho, and the final piece of an interchange construction plan in eastern Idaho that significantly cut serious crashes — won regional awards June 28 in Juneau, Alaska. 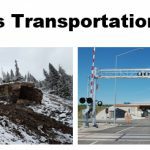 Regional winners in the America’s Transportation Awards were announced during the annual conference of the Western Association of State Highway and Transportation Officials (WASHTO). Idaho was one of only two western states to receive multiple awards; Colorado was the other. WASHTO is the western regional arm of the American Association of State Highway and Transportation Officials (AASHTO). “The America’s Transportation Awards give state DOTs recognition for providing the essential connections that keep people, goods and our economy moving forward,” said David Bernhardt, AASHTO president. The 2016 Elk City landslide unleashed 47 million lbs. of mud, rock and debris on Idaho State Highway 14, cut off access to a remote town and threatened grocery and gas deliveries, health-care visits, emergency services, and the livelihood of those who rely on the highway for transport. ITD employees from all over the state swarmed to the site to respond. Many employees took leave of their typical job assignments to assist in the efforts. The cleanup took about six months, and cost close to $3.5 million. The original slide dumped material across a 500-foot-wide stretch of highway. Two months later, a second slide brought down more material and pushed what was already loose debris even closer to the highway. Combined, the slides spilled 235,000 cubic yards of debris on the road and left a boulder weighing about 2.4 million lbs. on the hillside that ITD reduced with two dynamite charges. “The entire team of worked safely and efficiently, with the people of Elk City in mind every step of the way,” said ITD District 2 Engineering Manager Doral Hoff. Despite traffic volumes doubling, these improvements drastically decreased serious-injury crashes and fatalities. In addition, several money-saving innovations and technological advances shaved at least $450,000 off the final price tag for the Thornton project.